16th century timber-framed house in the village centre. 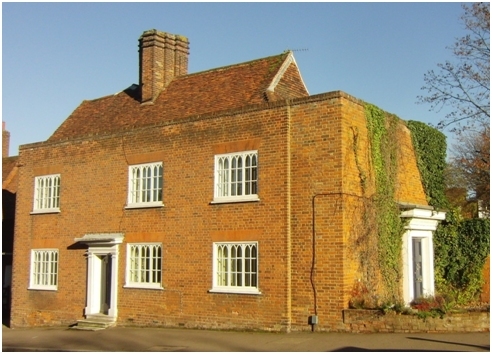 Lattimores is a 16th century, or possibly earlier, timber-framed house which was fronted with brick in the 18th century. The parapet of the front and south walls, which is clearly visible from the north side, was a very fashionable feature at the time but the steeply pitched roof betrays the earlier origins of the house. The Lattimores, who owned the Hope Brewery, lived here from 1791 until the late 19th century. The private road between Lattimores and The White Cottage is open only to those who are dining at the restaurant.